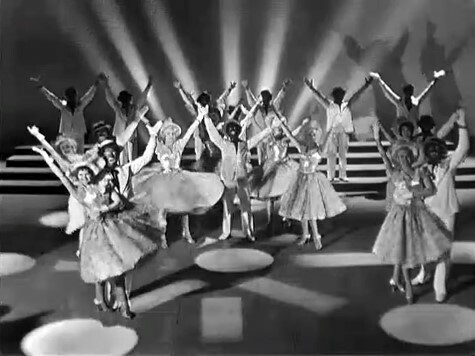 Difference between revisions of "The Black and White Minstrel Show (partially found BBC TV series; 1957-1978)"
The show was extremely popular, getting 21 million viewers at its peak. It would get many awards during its time, including the first-ever ''Golden Rose of Montreux/Rose d'Or'' to be awarded in 1961 along with many Golden Discs for creating best-selling soundtrack albums throughout its lifespan. This article has been tagged as NSFW due to its racist content. The opening title card for the early 1960s series. 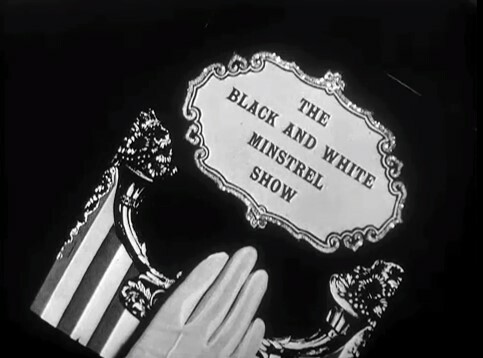 Between 1957 and 1978, the BBC in the United Kingdom broadcast a now largely unseen/lost program called The Black and White Minstrel Show. As part of a variety show, singers would put on black face paint and perform songs from a variety of genres as part of a modern (for the time) update to the old American Minstrel shows. The show was extremely popular, getting 21 million viewers at its peak. It would get many awards during its time, including the first-ever Golden Rose of Montreux/Rose d'Or to be awarded in 1961 along with many Golden Discs for creating best-selling soundtrack albums throughout its lifespan. The show though was particularly controversial for its racial elements; starting from the late 1960s, people would frequently write to the BBC calling for it to be pulled off the air, most notably in 1967 as part of the Campaign Against Racial Discrimination. It also was not always popular with its performers either: comedian Lenny Henry, who made his television debut in the show in 1976, would go on to state that he regretted acting in it. Conductor George Mitchell also wished to do the show without the controversial makeup. In 1968, he tried "Masquerade" with carnival masks and in 1969, "Music Music Music" with the performers just appearing as themselves. However, neither idea took off. In 1978, after 21 years in the air, the BBC ended the television version of the show along with its variants on radio and stage, which lingered until 1989. Existing episodes were not repeated nor issued on home media, with many ending up being wiped along with other BBC shows of the era. This resulted in 100 original episodes lost, with what remained being held under very high amounts of protection with only the occasional clips or audio recordings surfacing now and then. TV Brain's lost show listing on The Black and White Minstrel Show. IMDb page for The Black and White Minstrel Show.